When Anniek and Suze asked me to write a guest post about positivity and kindness to celebrate their two-year anniversary, I couldn’t be more inspired by them and their work. Joining the online book-blogging community a few years ago as an unknown author nobody had ever heard of, I was overwhelmed by the sheer kindness and support I encountered in this nurturing group of people who share a love for reading and want to share that same love with others. So my first words are words of gratitude for Anniek and Suze, thank you for creating such a happy place on the web. We constantly hear news of Cyber-bullying, Cyber-shaming, and other Cyber-horrible-things, but With Love for Books is a Cyber-happy island of joy. A place of love and inclusion, run by two of the most pay-it-forward kind people I had the pleasure to meet as an author. When thinking about positivity and negativity, I pictured at once in my mind the proverbial glass of water. How the same glass can—and could always—be seen as half empty or half full. Life is a lot like that glass of water, in every situation we can focus on the negatives or the positives. It takes a great effort and a strong mindset, not to be cranky, not to complain, and not to focus on the “bad” stuff. Sometimes it’s just hard to look at the bright side, or even imagine a bright side is there to look at. But we should all try to take a more positive approach toward what life throws at us because complaining for the sake of complaining really accomplishes nothing good. In my fiction, I always have a lot of fun throwing all kinds of curve balls at my protagonists. 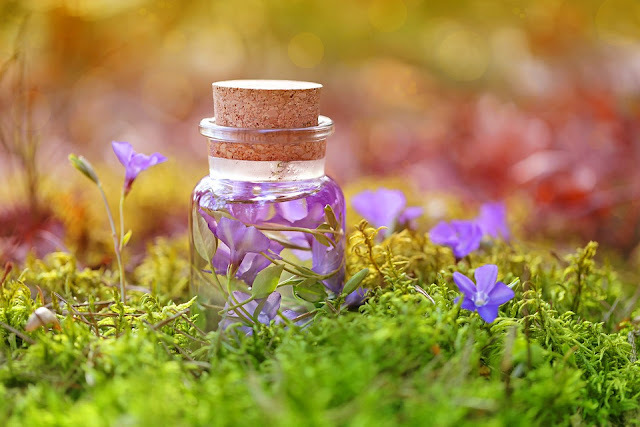 I like them to start at rock-bottom and then struggle with them as they pick up the pieces and put their life back on track, learning that what seemed like an unsurmountable obstacle in the beginning, became a mean of growth and transformation. It’s what I like to think all my heroines have in common: a strong will to fight through and never give up on their dreams. And, yes, it is fiction, sometimes way over-the-top fiction—like when I crashed a honeymoon plane for Joanna in A Sudden Crush, stranding her on an island with a perfect stranger—and you probably will never have to deal with a gruff Midwestern rancher on a desert island, or an opinionated genie of the box (I Wish for You), or a gorgeous-but-commitment-phobic new boss (I Have Never), but we can all adopt the same will-deal-no-matter-what attitude in real life. By writing positive, “happily ever after” books, I try to send a spark of joy out in the world. I want my novels to be a refuge you can turn to when you’re having that proverbial crappy day and seeing the full half of the glass is really difficult. Often, I’m asked what is the best part of writing a novel, and for me, it’s to make people smile. Over the years I’ve received e-mails from readers telling me how they were going through a rough patch and how one of my books gave them a brief escape, made them smile, and put them in a good mood. And that still makes my day, every day, even months later. Don’t get me wrong, we need sad books, too. Because sometimes we’re just in the mood for a good old cry. But if you want to cheer up, I hope to become one of your go-to authors. “It was very romantic—a stroke of destiny, you might say.” I gratefully sip my heavily sugared tea before launching into my narration. “It was a rainy day in September. I had just found my first job… well, my only job, since I’m still in it, and it was time for me to move out of the apartment I was sharing with Brooke. for our friendship, as we kept arguing about almost everything. Plus, she was getting quite serious with Dave, and I sensed they were just waiting for me to move out so he could move in. “Is it not a custom to have maids attending to these mundane tasks?” the genie asks without a trace of irony. “Not if you’re young and broke. Anyway, back to that day. I was heading home from work, and of course, I’d forgotten my umbrella. Soaking wet and in a hurry to reach the subway, I had my leather bag suspended over my head in a vain attempt at salvaging my hair from the pouring water, achieving only a reduction of my field of vision by half. “Partly blinded by the rain and by my outstretched arms, I jumped on the first steps leading to my station without paying much attention to the track, and I gladly leaped on the arriving train. Inside, I found a seat right across from James and one of his friends. “I was immediately fascinated by his dirty blond hair and warm mocha-brown eyes. He smiled at me, made a funny comment about the weather, and started a conversation. We chatted comfortably for a while until I heard the train’s speaker announcing the next stop. I asked no one in particular about what direction we were heading, and James confirmed that I had taken the train in the opposite direction to Wicker Park. At that point, I jumped up from my seat, eager to get off as soon as possible, but with my usual clumsiness, I sent my bag flying in the air, spilling its contents all over the floor. “But if you left, how did you find him afterward?” the genie asks. “Be patient, I am getting to it,” I say, carrying on with my story. “The very next day I found this apartment. I know it may not seem like much to you, but for me, a one bedroom with a decent size living room, one and a half baths, in a nice neighborhood, and at an affordable price was all I could hope for. Having five hundred and twenty square feet solely to myself was a humongous improvement at the time, and more than enough for my first bachelorette pad. Anyway, that weekend I packed all my belongings, including the novel I was reading, and I was ready to move. “As you may have noticed by now, I am not the tidiest person in the world. In fact, it took me a couple of months to sort through all the boxes, and it wasn’t until then that I rescued the famous book from lying forgotten at the bottom of one of them. I remember it as if it were just yesterday. It was a freezing Saturday afternoon in November—going out was out of the question due to the weather, so I decided to spend the afternoon cozily reading at home. “When I reached about halfway through the book, a white business card fell out of it. I recall being equally puzzled and excited by the discovery, even more so when my brain did the math and I understood it was the card of the attractive guy I’d met on the train. He must’ve slipped it in before returning the book to me. “I kept flipping it in my hands for a very long time, undecided whether to call or not. 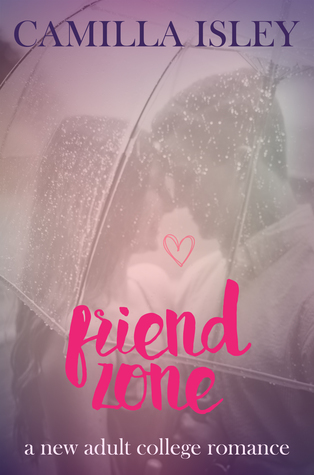 I mean, I had met him two months previously—for all I knew, he could have a girlfriend by then, or he could be mad at me for not calling him sooner. In the end, I decided to give it a go. Whatever, I thought. Nothing to lose here. So I called him. You may say now, what an incredible story. Yeah, and also a 100% true story. A real couple met just like that, and the best part is they got married, eventually. This meet-cute is a perfect example of how a dead-negative distraction like taking the wrong train at the end of a long day of work could turn into the chance encounter of a lifetime. And I’m not saying that every little mishap will turn into an epic stroke of luck, only that I prefer to believe it could. And that positive things are always waiting just around the corner, all we have to do is walk there and be willing to look. 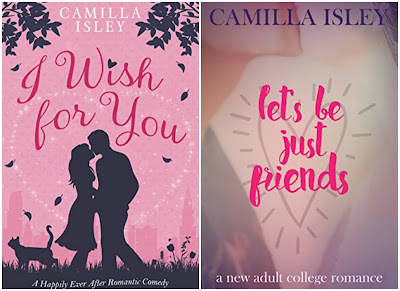 I Wish for You & Let's Be Just Friends are free on Amazon right now. I Wish for You will be free from January 30th until February 3rd. One very Lucky reader of With Love for Books will receive a The Bucket list planner and a digital copy of I Have Never. 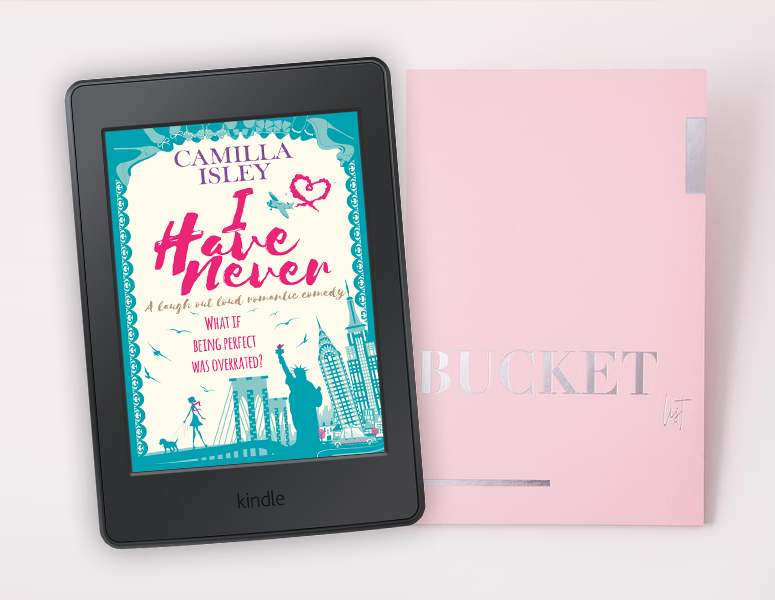 Two runner ups will get a digital copy of I Have Never. Thank you for the free books, these sound like the perfect books for me! Always nice to hear from a new-to-me author, this looks like a book I could get into! They sound like great reads!Thank you. I love your positive attitude. I could live without mosquitoes, too, lol. I love her books and would love to win. Enjoyed the excerpt & am ready to read more! Interesting excerpt and I really like the cover! This guest post was an enjoyable read and I find it to be very true that in life some are optimist and some are pessimists - just like the half full or half empty glass. I do try to be an optimist but it's not always easy. I love the idea of books making me smile and feel happy, though sometimes I do enjoy those that make me cry too. Any book that can get my emotions going means that I've connected to it and that's one of the things that I love about reading.